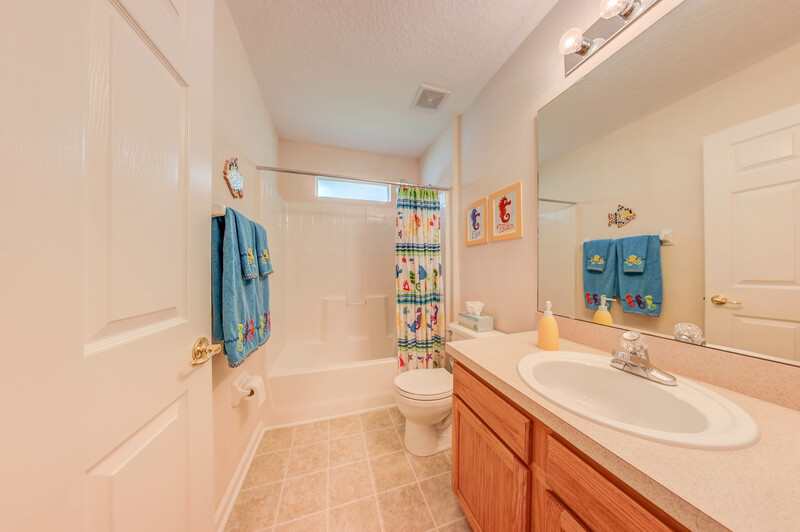 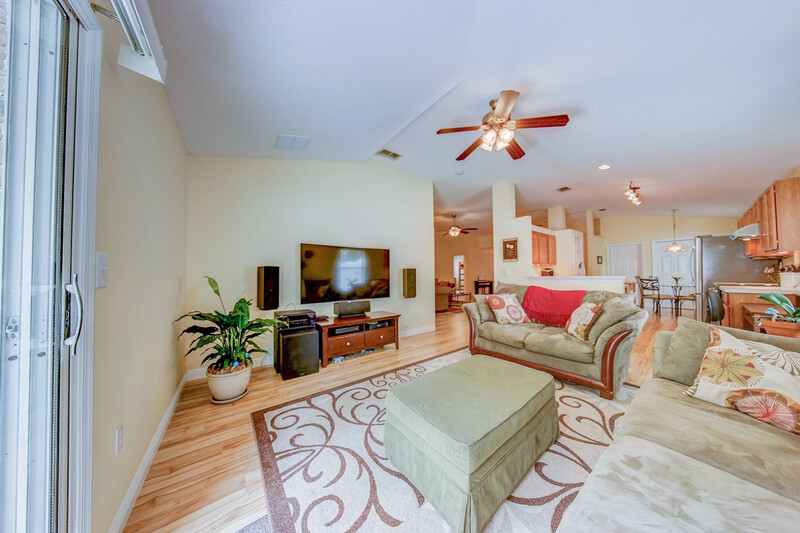 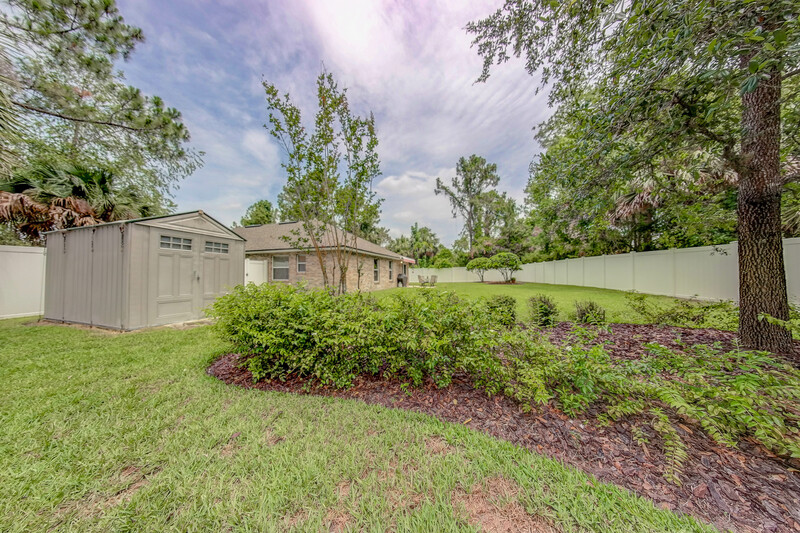 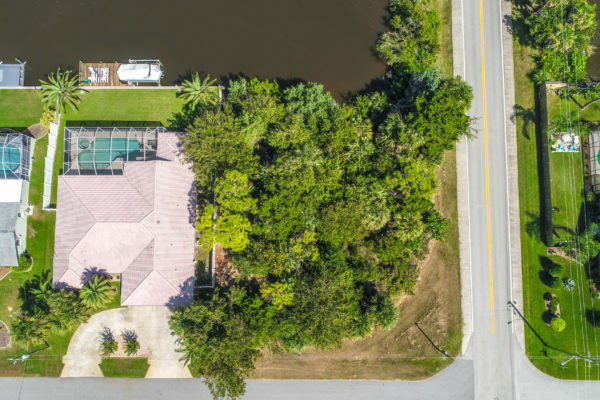 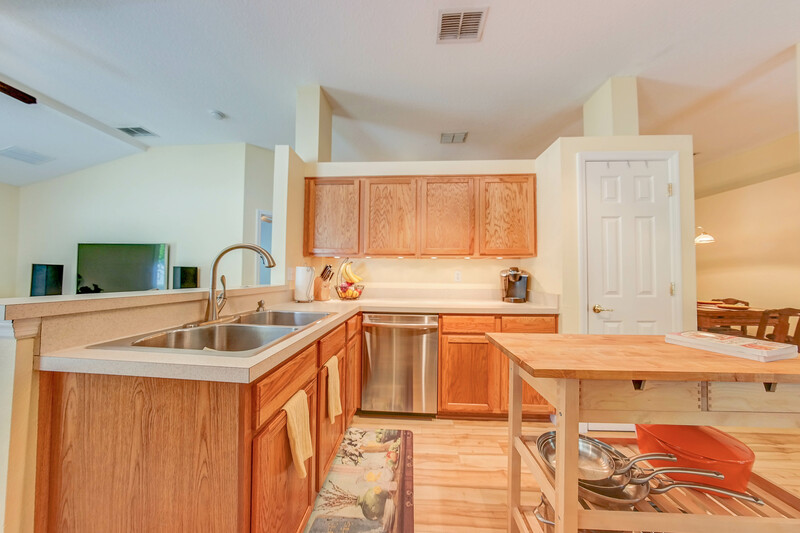 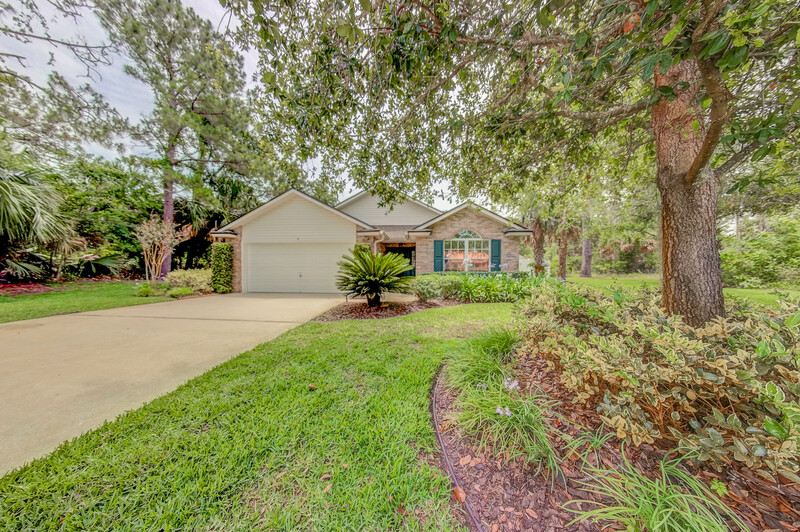 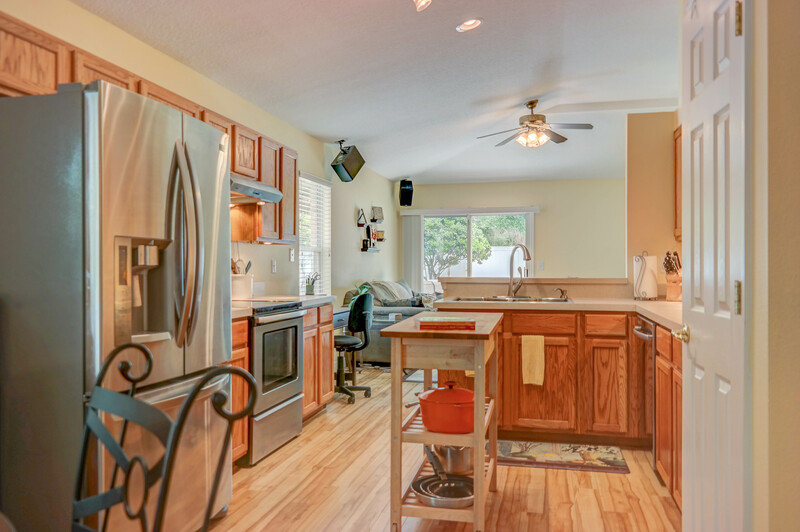 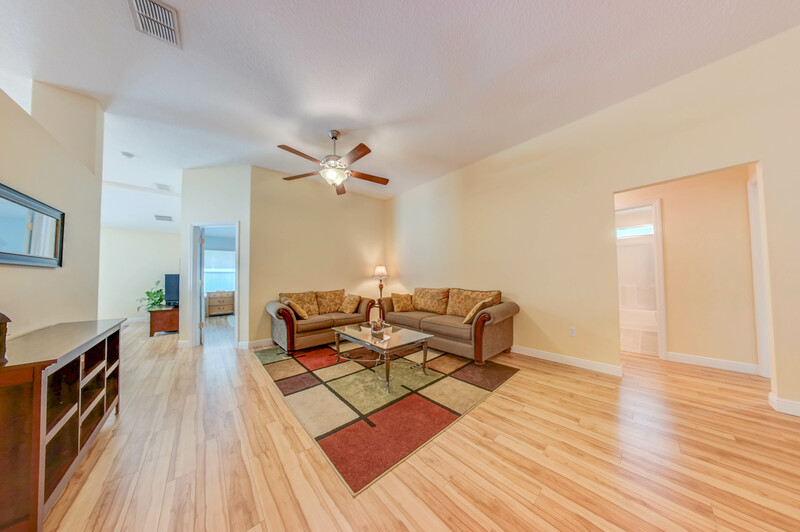 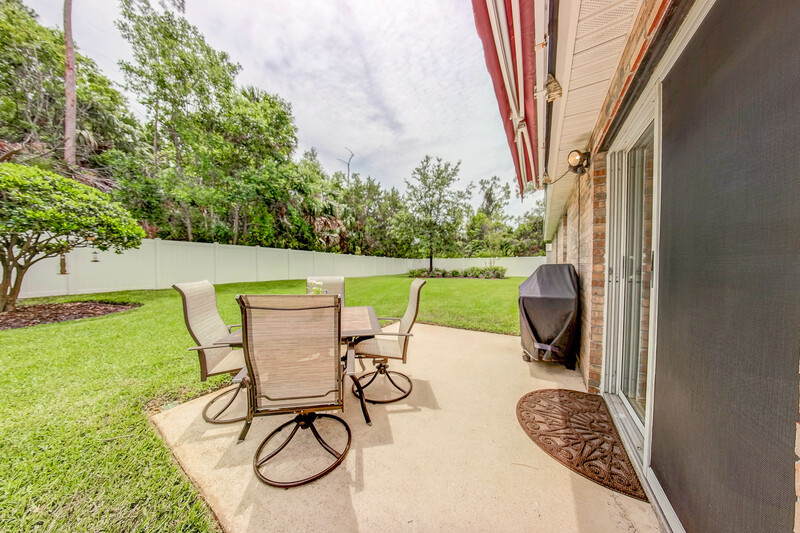 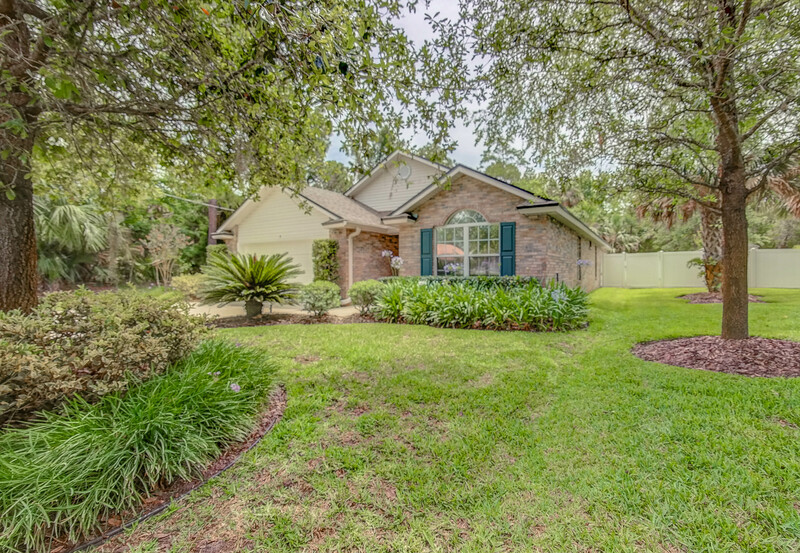 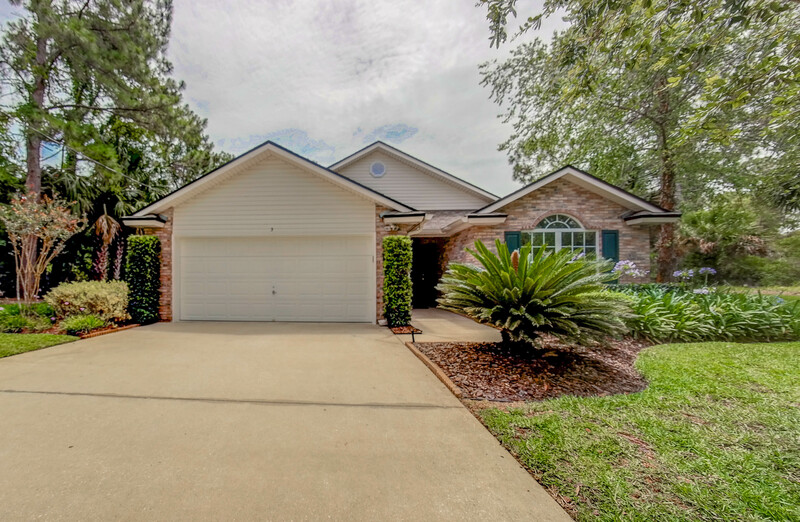 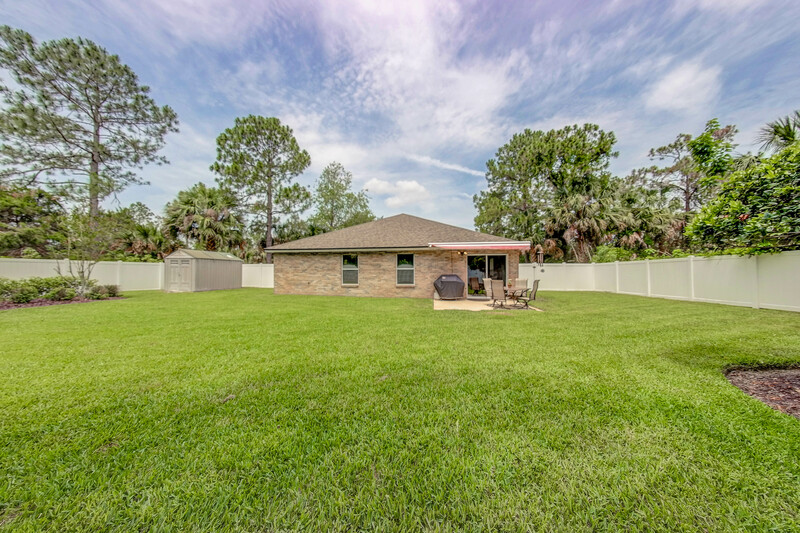 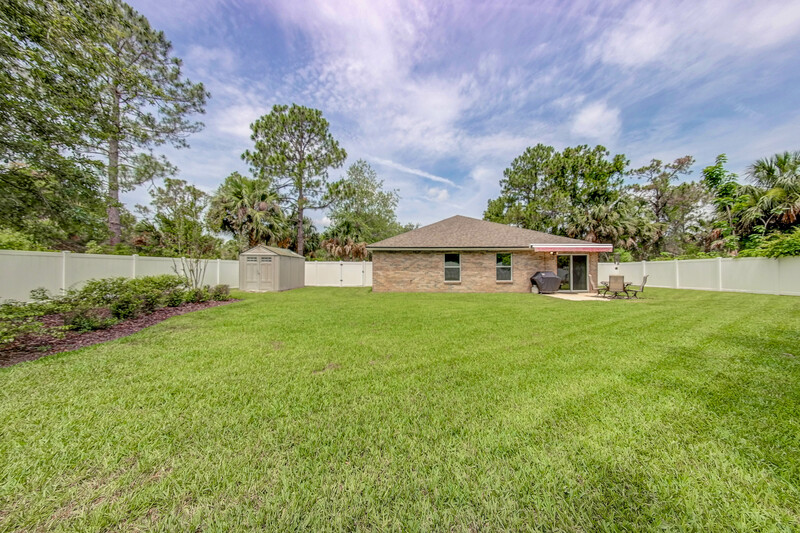 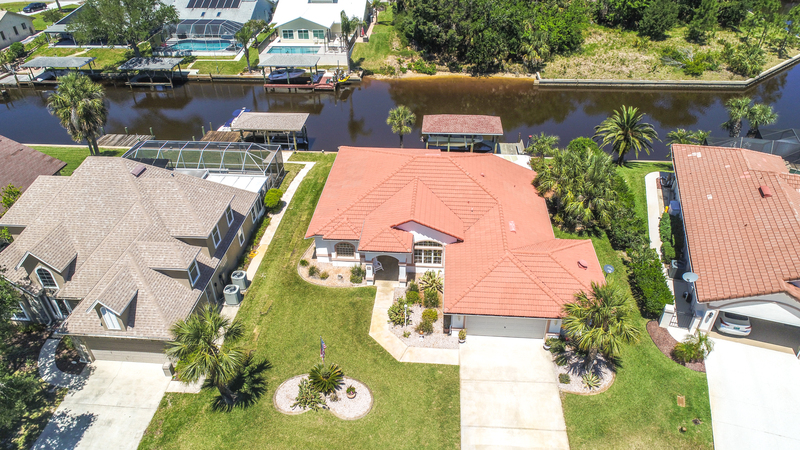 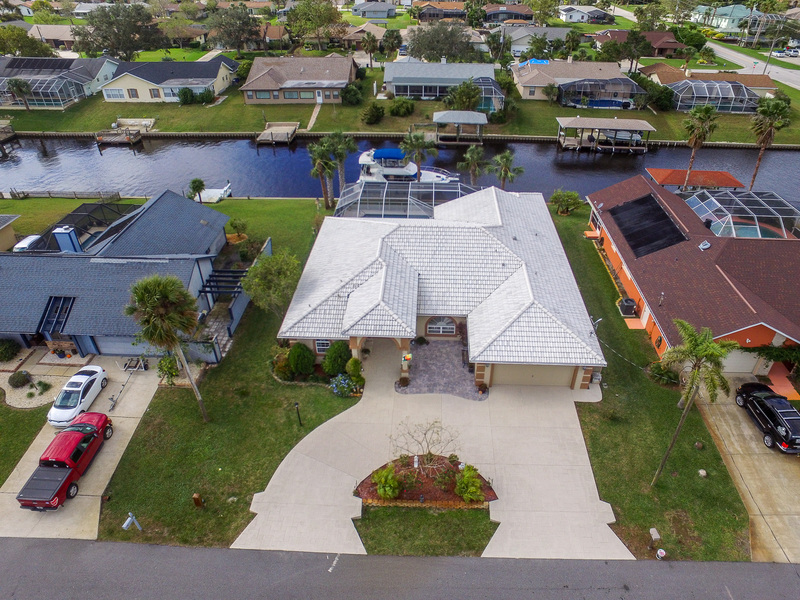 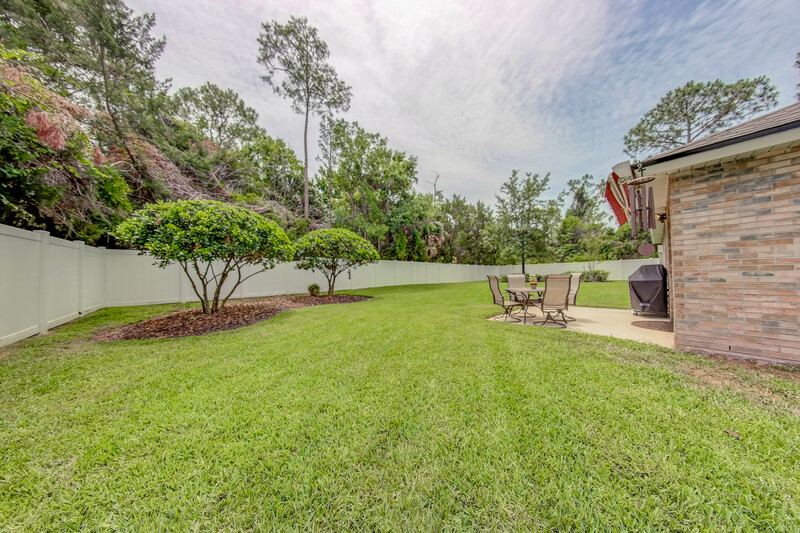 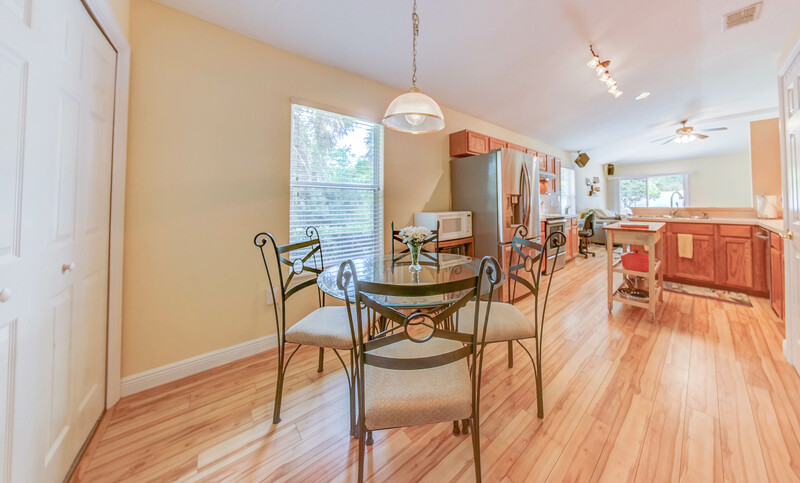 Absolutely adorable turn-key home in Palm Coast. 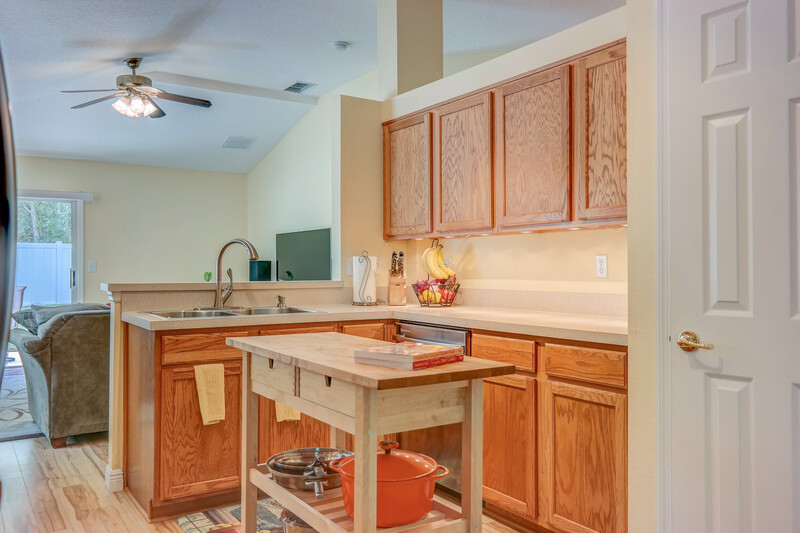 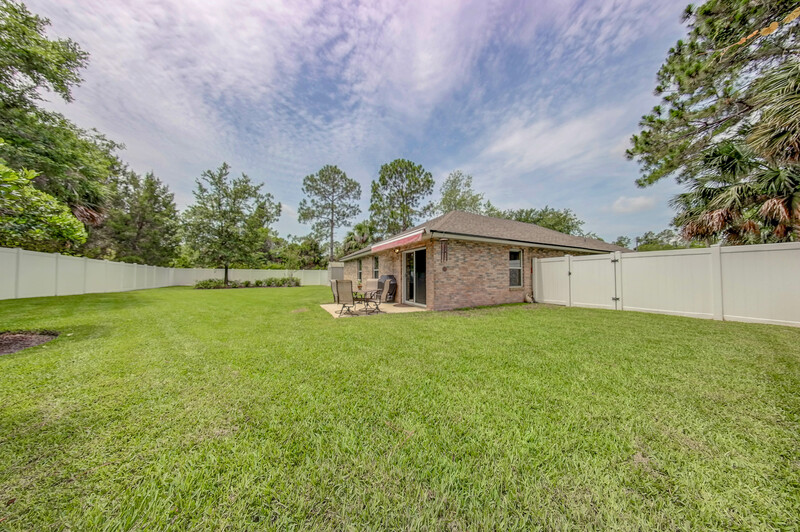 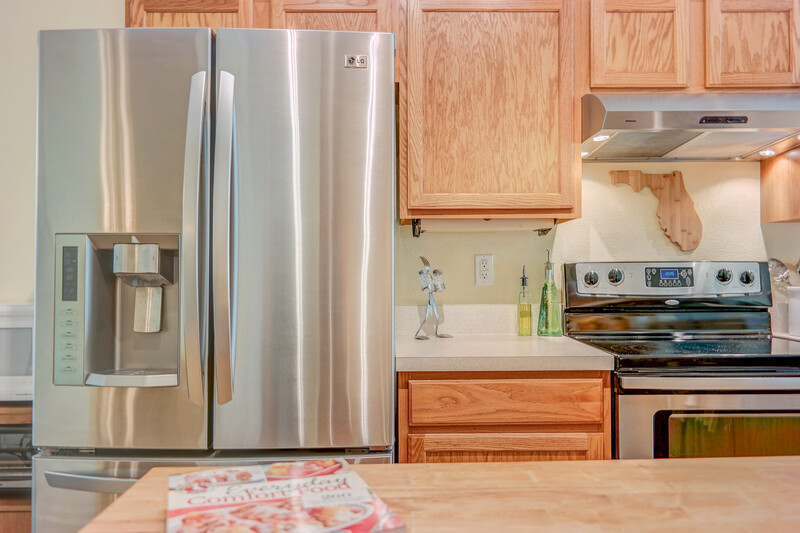 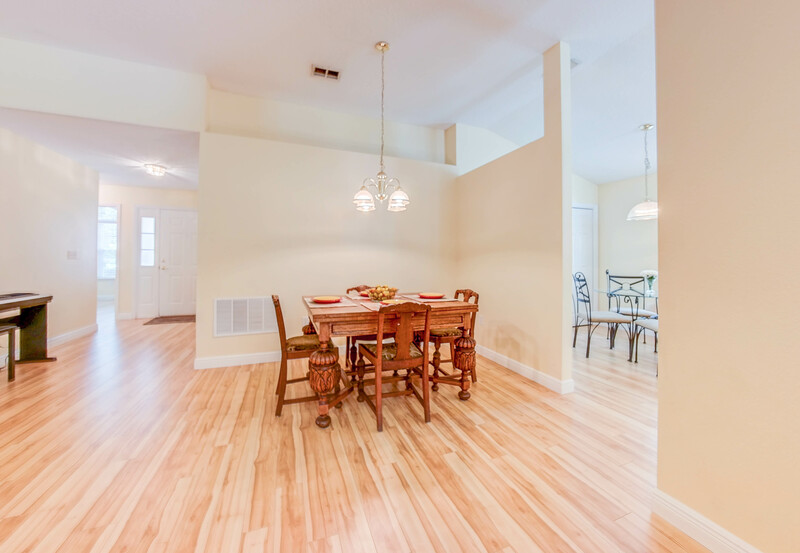 Recent major improvements include a NEW ROOF, top-of-the-line Trane high efficiency 17 SEER duel speed HVAC system, stylish laminate flooring throughout, and newer stainless appliances including a french door refrigerator. 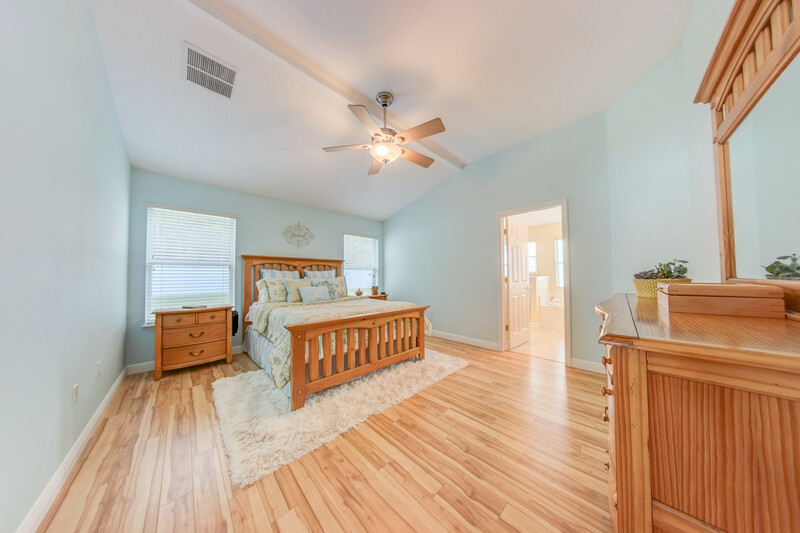 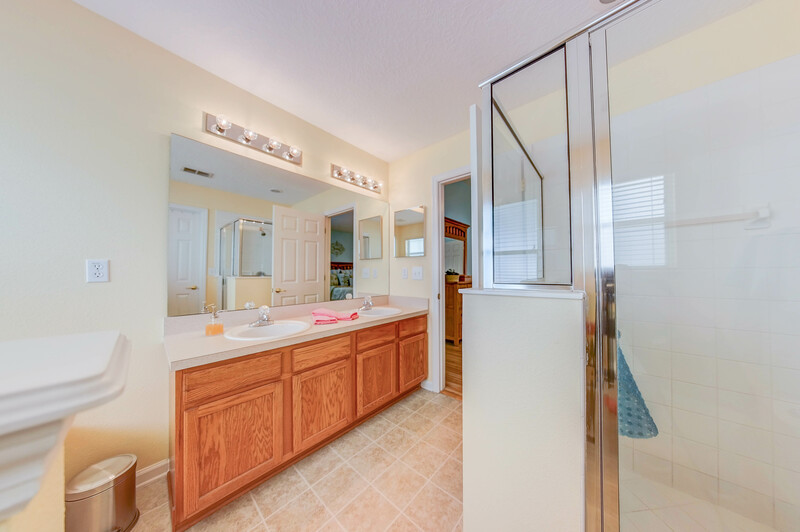 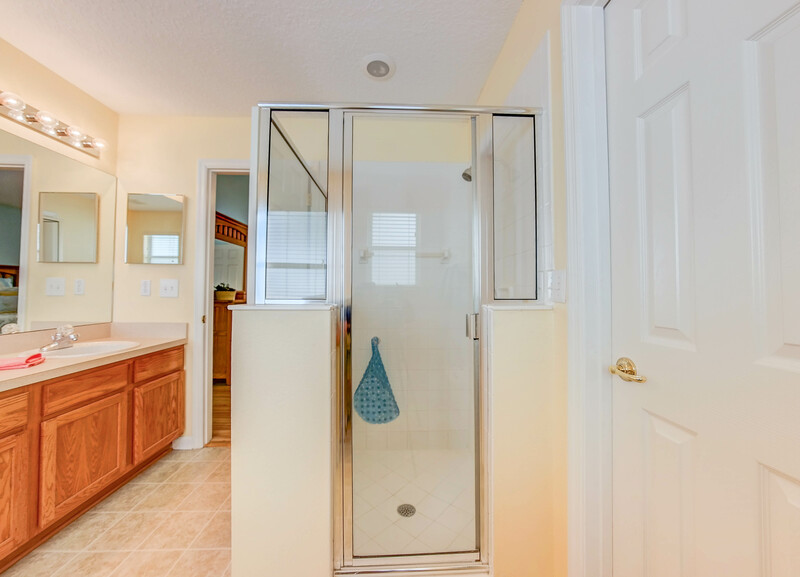 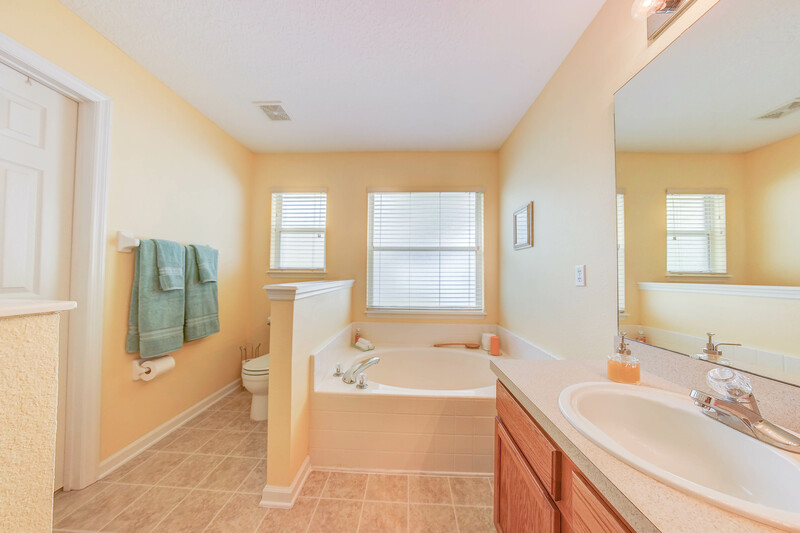 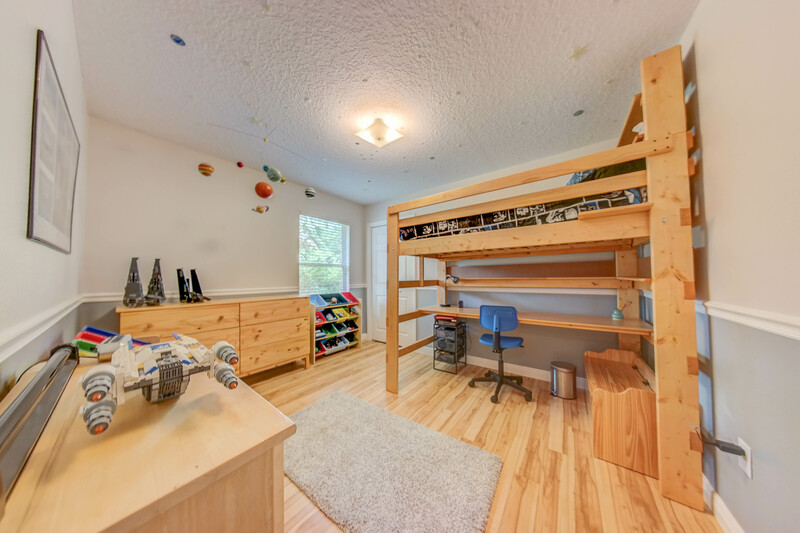 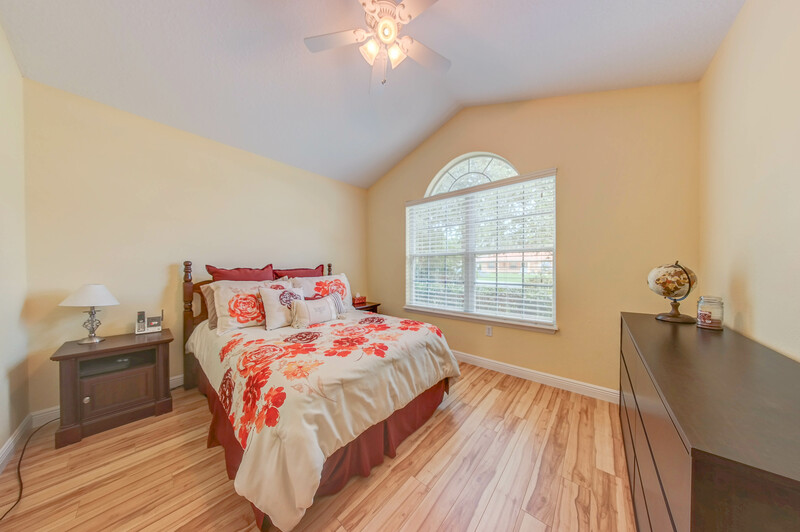 The master bedroom is spacious and boasts a walk-in closet, soak tub, separate shower, and double sink vanity. 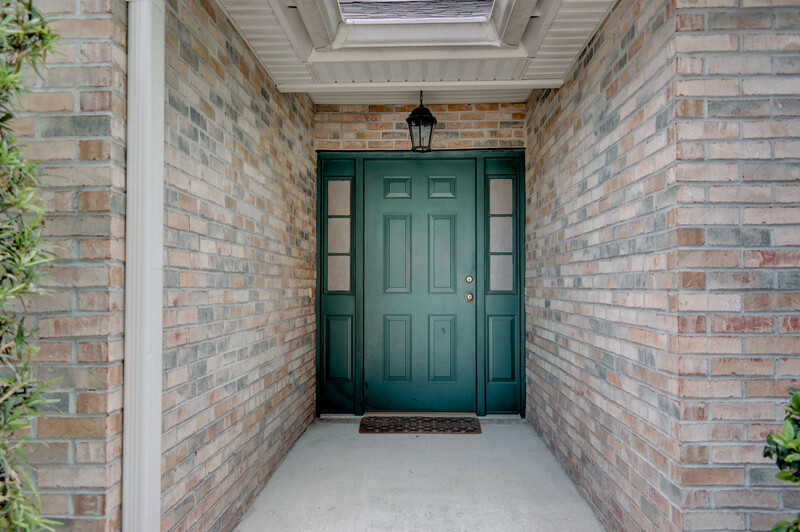 Take delight in the maintenance free and attractive brick exterior. 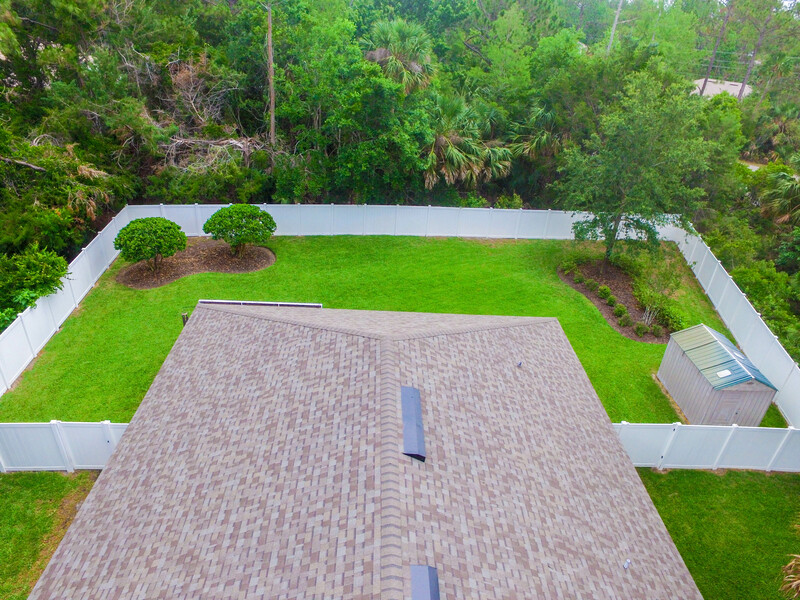 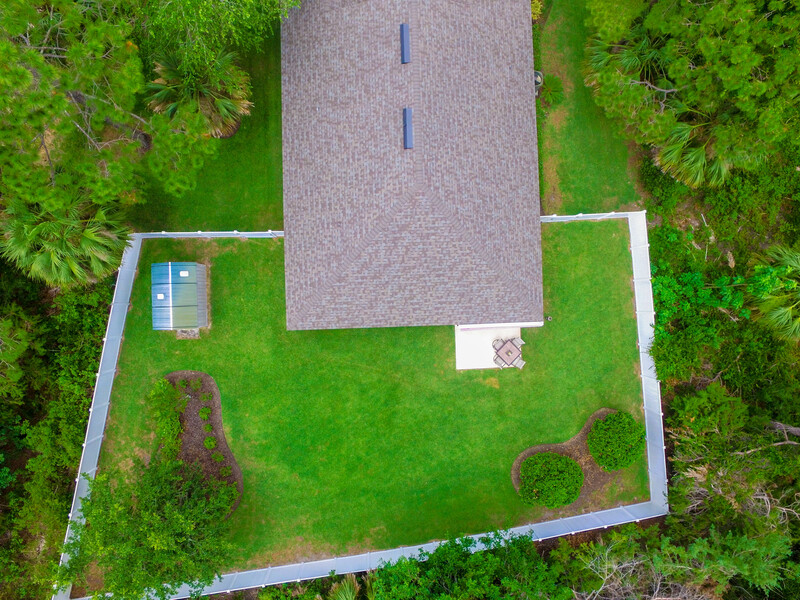 The oversized lot leaves plenty of room for a pool and more. 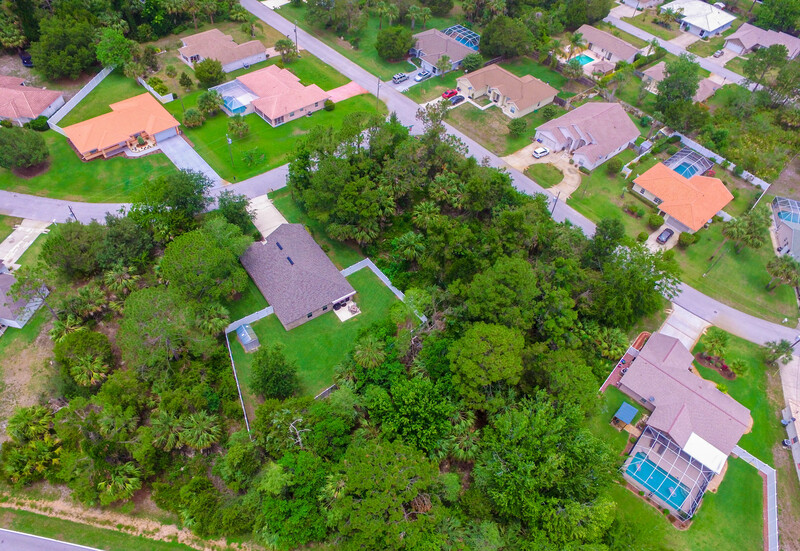 This property is located on a cul-de-sac flanked on each side by wooded undeveloped lots and municipal land in the rear providing total privacy in your back yard. 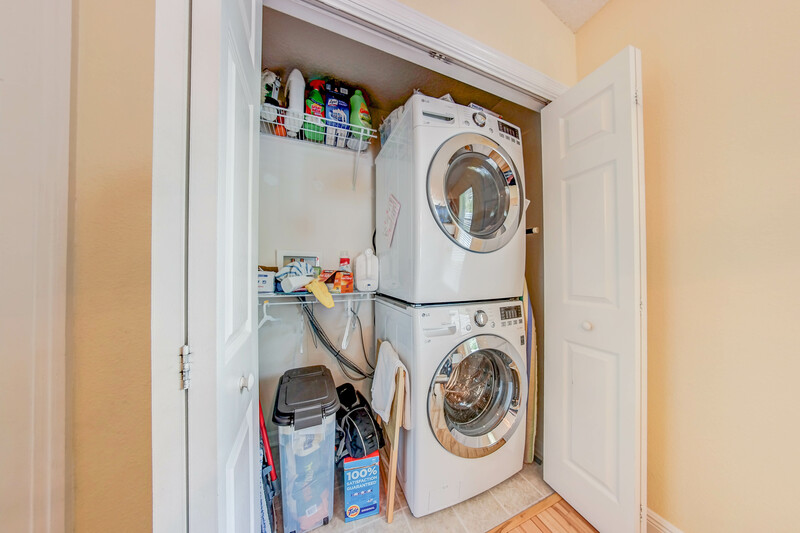 Additional features include an inside washer and dryer, retractable awning over the patio, smart home thermostat, and a spacious storage shed in the backyard. 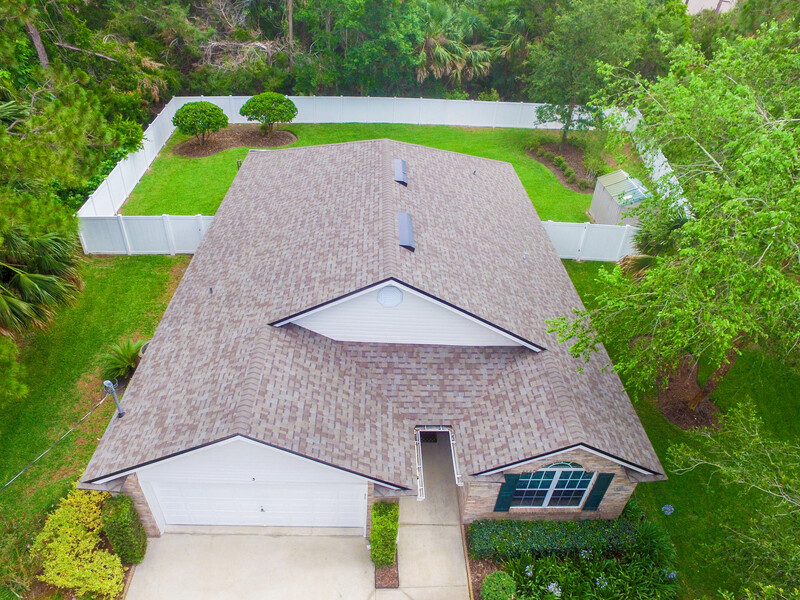 Put this one on the top of your list and schedule a private showing today. 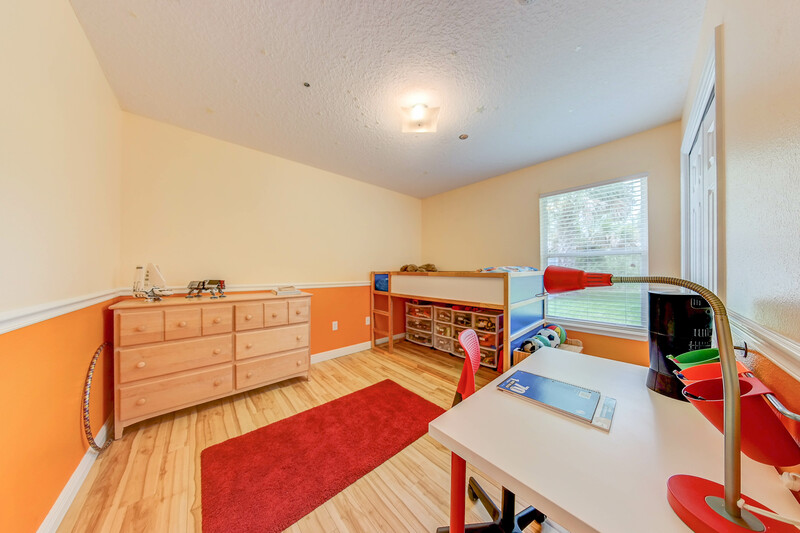 I am a well rounded agent with over 20 years of experience. 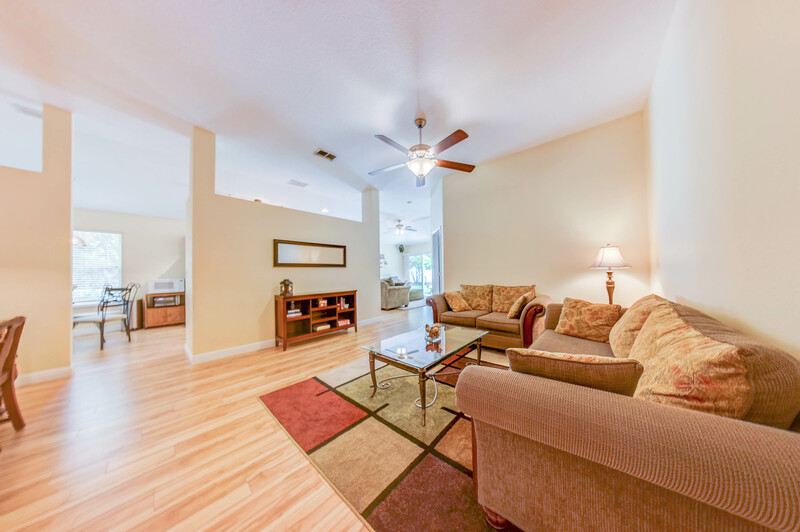 I have worked in all sides of the real estate business as a Realtor, mortgage banker, and real estate appraiser. 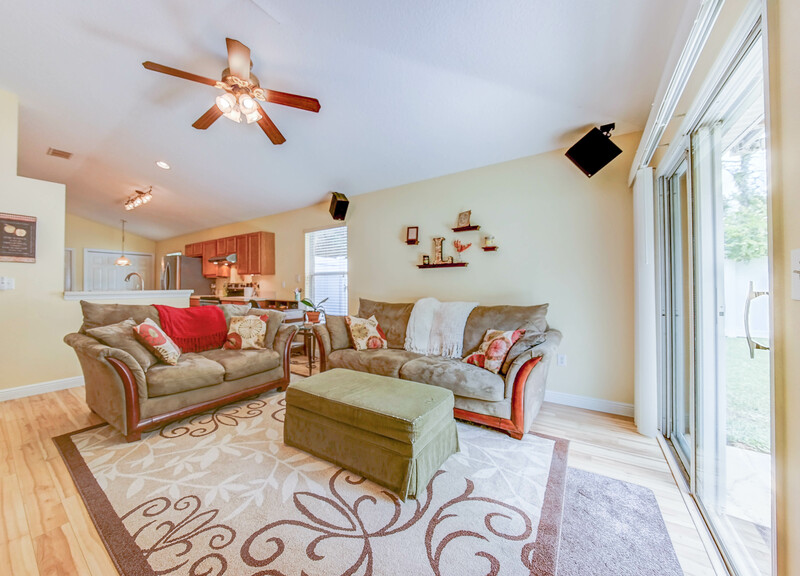 With my complete understanding of the home buying process and marketing acumen I can help bring both buyers and sellers together to reach their common goal.